Homemade gluten-free graham crackers are a great healthy snack for kids, but adults love them too. 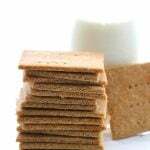 This low carb graham crackers recipe gets a much needed makeover! Did you know that I am one of the first people to ever develop a keto graham cracker recipe? Oh my word, it seems like a lifetime ago. I originally wrote this post in January 2011. I’d only been doing low carb for about 8 months at the time. But I’d always loved graham crackers and I really wanted to enjoy them again. 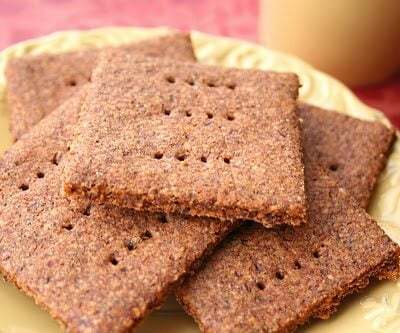 Sometimes an older recipe deserves to be revisited and revised, and this low carb graham crackers recipe was desperately in need of an update. It’s actually one of the oldest recipes here on All Day I Dream About Food, and yet it remains one of the most popular. 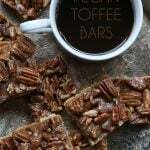 For people new to the keto diet, it’s an absolute revelation that one can make their own healthier version of the popular sweet cracker. Heck, it was an absolute revelation for me to create them 8 years ago. o a healthier graham cracker that I could eat without raising my blood sugar? Priceless. Absolutely priceless. It’s really surprisingly easy and quite similar to making any keto crackers, except that you add a little sweetener and some cinnamon. Flours: I always use almond flour for my homemade graham crackers, because it crisps up nicely when rolled out and baked. I don’t recommend coconut flour, it tends to make things a bit chewy. If you are allergic to almonds or other nuts, your best option here is actually sunflower seed flour. It can be used to replace almond flour in a 1:1 ratio. Be forewarned, however, that it reacts with leavening agents like baking powder and can produce a green color as it cools. You can offset this by using a tablespoon of acid like lemon juice or apple cider vinegar. Sweeteners: When I first created this recipe, I had never even heard of Swerve! I used plain erythritol and added a little molasses for color and flavor. Then I started using Yacon syrup for the color and flavor. But now that Swerve has come out with a brown sugar, it’s my go-to for this graham cracker recipe. It gives exactly the hint of color and rich flavor I am looking for. Rolling out the dough: You really want to roll your dough thinly enough that it crisps up nicely, but not so thin that your crackers are really fragile. I’d say less than 1/4 inch thick works best. Try to roll it as evenly as possible so they all cook evenly. Oven temperature: You want a low oven temperature so that the crackers crisp without burning. They won’t be completely crisp after the first baking but you need them to cool so that you can break them apart along the score marks. Then you put them back in the warm oven to continue crisping up. 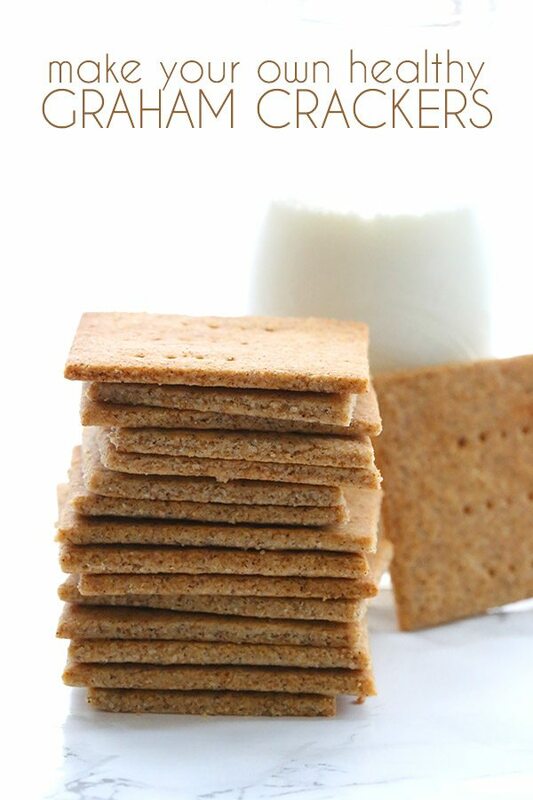 I’ve made this graham crackers recipe countless times over the years, in particular because my kids love them. It’s nice to be able to offer a healthy snack option that really competes and holds its own with the store-bought version. There are lots of ways to use them in snacks and desserts. My method has changed slightly over time and so have my ingredients. So I thought it was time to bring you the new and improved sugar-free graham crackers recipe. At first, I was only going to update the recipe and add in the how-to video. But when I looked at the photos, I figured it was time to update those as well. And then I read the post and thought “Golly Gee Whiz, what the heck was I blathering on about back then?!?”. Okay, so I don’t really say golly gee whiz in real life, but the point is that the whole post no longer seems very relevant and it was time to just update the whole thing. But I am leaving in one of the old photos because…golly gee whiz, my photography skills have improved and it’s fun to look back for comparison. This recipe is featured in my cookbook, The Everyday Ketogenic Kitchen. It’s an Amazon Best Seller! Homemade low carb Graham Crackers get a much-needed update! These healthy, grain-free crackers are the ultimate kid snack, but adults love them too. Turn dough out onto a large piece of parchment paper or silicone liner and pat into a rough rectangle. Top with another piece of parchment. Roll out dough as evenly as possible to about 1/8 to 1/4 inch thickness. Remove top parchment and use a sharp knife or a pizza wheel to score into squares of about 2x2 inches. Transfer the entire piece of parchment onto a baking sheet. Bake 20 to 30 minutes, until just beginning to brown and firm up. Remove crackers and let cool 30 minutes, then break up along score marks. Return to the warm oven (with oven off...if it's cooled down too much, turn it on and set the temperature at no higher than 200F). Let sit another 30 minutes or so, then cool completely (they will crisp up as they cool). Makes about 24 to 30 crackers (this will depend on how thin you roll your dough). Each cracker has 1.57 NET CARBS. I'll try out the Hefty stuff! Looking good….i make an indian version wit cumin but it's deep fried!!!! eek!! Yours looks much healthier but still yummy! the almond meal makes these sound better than true ones! "the most environmentally-friendly paper plate is no paper plate at all"
These crackers look very tasty! I love graham crackers when I need a sweet fix but don't want to over indulge. So much to comment on… paper plates – in no way are they environmentally friendly in my eyes. Unless they truly do compost well but how many people really do that? I thought about it but personally know no one that does. I've never heard of the vanilla or cinnamon brands before. I think their packaging is genius as long as it's not causing a negative impact in the manufacturing process. I try to do my best to buy organic when I can but honestly – when you've got little mouths to feed and the money is tight – sometimes you just buy what's cheapest. let's be real… if organic is double the price I'm not going to get it. Sometimes it’s better to use paper than waste water washing dishes…. Just my opinion & I am a true ” green” person. I love, love, love that these are gluten free?! I've been toying around with a new bar recipe and was going to try and tackle the gluten free graham cracker [I refuse to pay $8 for the GF store bought ones] Thank you for showing me it CAN be done!! Oh these crackers look good. Can I have some with a glass of milk? Right now? I'd have been with the kid you had to put on hold til after photos. Marvelous work again Carolyn. Great for those crusts that call for graham crackers, too – I think I'll make 2 batches: one for crust crumbs and one for eating with homemade sugar-free marshmallows! Thank you for mentioning pie crusts. I was searching for that specifically. Can’t wait for cheesecake! Those Hefty plates sounds good for our family, especially Dudette. If you don't have three requests yet, I'd love to try them out. We do try to stick to regular plates and use the paper only when we have to (and yes, we reuse when we can). I love the graham crackers too. Gorgeous. Cinnamon on graham crackers is so, so good. mmm. The real question is, do you have low-carb marshmallows and chocolate bars to go with them? That's my favorite way to eat grahame crackers! those graham crackers are beautiful, that is one thing I never thought of making, well that and marshmallows! But they do look delicious. As for paper plates, I am not a fan, but would rather have paper than foam any day. I enjoyed reading your throughts on enviromentally friendly products! It is hard to always do the best thing for the environment, especially when it comes to cost. Oh, and this recipe looks terrific! Wish I had had this recipe back when I made those marshmallows! These look great. Oh i hear you! I don't understand why to be "green" I need to be spending 3 times more. I believe that often it's not that more expensive but they take advantage of us. I struggle with the same thoughts you do too. Beautiful job on these. They look heavenly. These sound like some fantastic products, I will have to check them out! The graham crackers look delicious! You are little creative busy bee..looks fabulous and so delicious, plus it is healthy and homemade..you can;t get better than that!!! I am so impressed! I wish I was better at making my own treats like this. Sometimes you have to do the best you can and not beat yourself up about the things you missed. (Speaking for myself anyway) I'm trying to incorporate better foods, and better quality for myself and my family. These Graham crackers look so wonderful. I can actually see the texture difference. mmmmmmmmmmmmmmm….these look amazing! "Supermarket grahams" wouldn't even come CLOSE to these, I'm sure! Good post Carolyn! Good on you for using cloth nappies also. Lovely biscuits. I think I'll make these because we don't have graham crackers here in Oz and I've always wondered what they're like! I'll try the Hefty plates if you still have a coupon. I also really want to try these crackers. They look fabulous!! MMMMMM,..these home made gf crackers look so tasty & fabulous even! You are recently on a baking high!! Go on, girl! Homemade graham crackers…I like! These would be great with some peanut butter on them, talk about a great little snack! YUM! I'm all for trying out new products and would love to try them out! My itty bitty goes crazy over graham crackers and they have become a "special" treat in our home because he will request them all day long. I would love to give these a try. I wonder if I'd be able to crush them up and use them for a pie crust. On a side note… primates make me giddy. I will check out Red Ape Cinnamon and purchase something to help support their cause! Your graham crackers look just like the real thing, but sound so healthy, I'll have to try them. I'm the same when it comes to environmentally friendly; I do what I can, but if the cost too high I have a hard time. I know what you mean about the cheap vs. environmentally friendly mental dilemma. Don't consider yourself a miser, though. I think that tagging things with the words "green" or natural is sometimes nothing more than a marketing scheme to get us idealists to spend more money. The grahams look amazing. I agree with Stephchows about the almond meal making them sound better than the originals. Carolyn – You're so talented! I love the way these look and sound! ..and Congrats on the Top 9!! Just wanted to mention that those cornstarch packing peanuts are like the Magic Nuudles or other brands of colored cornstarch building blocks, so your kids can have some fun with them if you haven't composted them already. All they need is a wet rag to moisten the blocks (so they stick together) and maybe a few butter knives to cut them into shapes. oh these look so good! 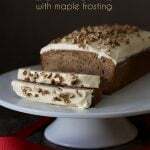 never tried homemade before~ loving the blog! Like you said, real graham or not, those crackers look fantastic. Carolyn-I am so impressed! Never have I imagined that anyone could actually make home made graham crackers…and you did! These look fantastic! I'm always impressed by the detail in homemade graham crackers…yours rock! lately i've been giving a lot of thought making graham crackers at home, you just read my mind with this recipe. thanks for sharing Carolyn. Homemade graham crackers are the best! Paper plates are handy occasionally, but the most I got from this post is compost- hehe. I need to try to do it more often. We recycle (it's the law here) but not compost. Will read up about that, and will also look for the paper plates while at the grocery. The graham crackers looks fab! Also love your daughter's reaction- too cute! I don't really care what kind of crackers those are — I only care to have one (ok, two)! 🙂 They look really good! Water soluble packing peanuts, what a great idea! I always like to support environmentally conscious efforts like that. Amazing looking graham crackers, they are so golden and beautiful. 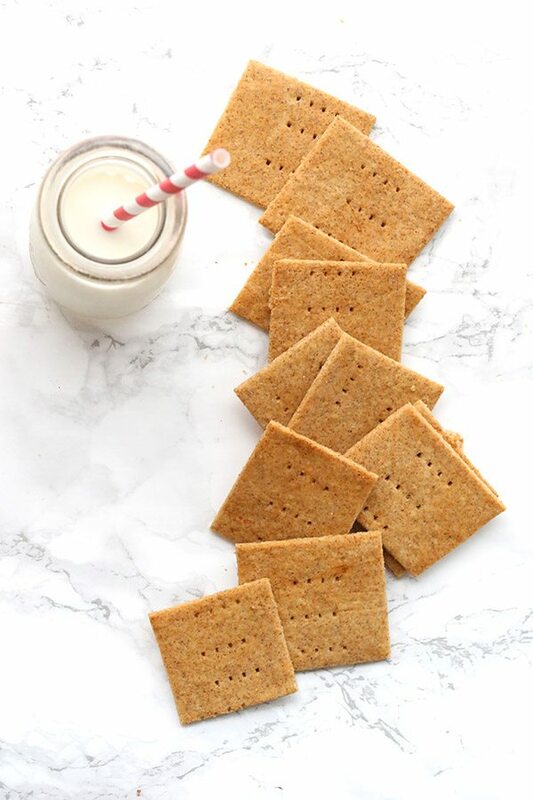 I love the idea of homemade graham crackers! Amazing. Really thought-provoking blog (at least, it made me think!) and those Graham crackers, low carb or not, look the bomb. there is really nothing better than a homemade graham cracker. i love your story behind these. great review, carolyn! I just made these and they turned out great! Great flavor and nice and crispy. Thank you! I substituted extra almond meal for the flax meal, and a Splenda/Stevia mix for the erythritol. Next we'll try to find a good sugar free marshmallow recipe to go along with these. We're so excited to find your site! I just made these and they turned out great! Great flavor and nice and crispy. Thank you! I substituted more almond meal for the flax meal, and a Splenda/Stevia mix for the erythritol. Next we'll look for a good sugar free marshmallow recipe to go with these. We're so excited to find your site! Next we'll look for a good sugar free marshmallow recipe to go along with these. We're so excited to find your site! Yay! So excited to see a recipe for graham crackers. I have been wondering if there was a way to make a low carb version of them. Will definitely put this in my rotation. Looking for some special things for a camping trip I found your recipes and spent today wihipping a few things up. These are SOOOO delicious! They have not even the slightest low anything taste! They taste like gourmet graham crackers. I made the coconut macaroons too and they were also supremely special! I can’t wait to get busy on more of your recipes! Love em!! Great recipe! Will be linking back to this in my post tomorrow. HI! JUst made these and they are great! just perfect to slather some peanut butter for a quick breakfast or snack! 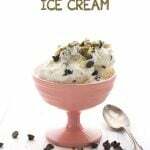 I did had to add about 1/8 cup of more erythitol because I like mine sweet:) Thanks for the great recipe!! I see the temperature is only 225F … is that correct? That makes for just about 107C. Most recipes with nut flours take about 350F … what is special here? Yes, it is correct. They dry out and get very crisp this way. If I were to make these using real sugar (or possibly even maple syrup) would I use the same amount? I don’t like to use any sugar substitutes because they usually give me a headache. Yes, I think that might work, although I can’t say for sure. These would be wonderful with Skinny Chocolate (from Trim Healthy Mama) and Sugar Free Marshmallows! http://purelytwins.com/2013/02/08/how-make-sugarfree-marshmallows-gelatin/ Now if it would just get warm enough for a fire in the fire pit! You have many wonderful recipes. This one is especially good substitute for graham crackers. I break them up and use them as “cereal” topped with unsweetened almond milk. I love your creations! Are these graham crackers really crispy? I’m looking for a softish graham cracker to use for making a low-carb copycat version of the Ciao Bella Key Lime Graham gelato squares (key lime custard cooling in fridge right now…) Do you think I could cook them for a shorter time to make them softer? Any thoughts? Thank you! 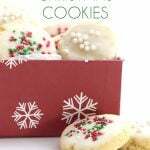 Yes, I would bake them less AND make them slightly thicker to get a softer cracker. Thank you! You are so nice to always respond to comments — and so quickly! Your website has been a lifesaver for keeping me on my low-carb diet. After a few weeks of eggs for breakfast, salad for lunch and meat plus two veggies for dinner, I always get burnt out and give up. Your recipes are getting me excited about cooking and eating again! Just made these. I did not use the erythritol or the molasses and instead used 1/4 cup grade B maple syrup. They turned out amazing! 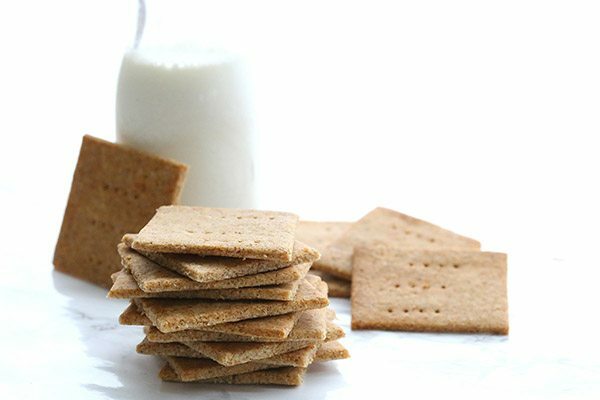 We can’t thank you enough for giving us a recipe for graham crackers we can eat! This will be great to use as a crust for pies and cheesecake as well. I would like a free coupon if you still have one! LOVE your recipes!! Thank you for the time, effort, and money you put into these to perfect the recipe so we can have wonderful healthy food!!!!!!!! Have you tried making the grahams with honey? I haven’t read good things about the erythritol, because of the way it’s processed. I’m using honey in place of any sweetener, as recommended by Doc. These will not work with honey, it will introduce too much liquid and they will be soggy. Can I use regular sugar instead of the sweetener? Was also going to use a butter replacement, earth balance soy free instead. Will that work? I have no idea, I don’t bake with those things. It’s worth a shot! ..I cannot wait to try chocolate …pumpkin spice. ..or maybe peanut butter with pb2…your recipes are fantastic! All of your ideas sound delicious! You cannot claim a recipe to be sugar-free when you are adding Molasses (which by definition is from sugar cane) to it. Just because you do not add granulated sugar, does not make the recipe sugar-free. 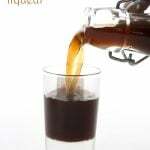 Even black-strap molasses, the syrup produced after the cane has been boiled three times and the majority of sugar crystals extracted, although low in sugar content, does contain sugar (12.2 grams per Tbs). I didn’t claim these were sugar-free, I only called them Low Carb. But besides which, I can indeed call it that because the molasses is completely optional. No molasses, no sugar. Could I use the graham crackers to make a graham cracker crust? Do you think a pasta machine could be used to roll out this dough? No, I don’t believe that it would hold together. Golly Gee Whiz! You’re funny. Thanks for the update Carolyn!! Is there another spice I can use instead of cinnamon? I am no longer able to eat it. You could use sunflower seed flour…just be forewarned that it reacts with baking powder to turn a bit green. This can be offset with a tbsp of lemon juice. Is there another lower carb flour that I could substitute for the almond flour? We have a nut allergy in our house but I would like to try them,.Thank you! Try sunflower seed flour. Add a little lemon juice (like 2 tsp) to keep it from turning green (it reacts with baking powder and baking soda). Wow!! I just made this fabulous recipe and they turned out perfectly. I substituted the molasses for yacon syrup, which I just recently discovered, and it gave the perfect color and molasses type flavor. Thank you so much for this delicious recipe. Yep, I have some Yacon too and it’s good but oh my, it’s expensive! 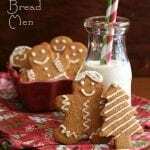 I just finished making these graham crackers and the are wonderful. I plan on using the for my snack at work with some peanut butter on them. Thank you for all of the great recipes you have. This recipe does not work without the molasses. I tried and it just came out as a grainy sand-like mixture. Additionally, these are not sugar free if they contains molasses. It actually does work without the molasses as I have made it that way a few times. Any sandy texture would come from using almond meal and not almond flour. The molasses is purely for colour and flavour. You could use yacon syrup instead of the molases and you’ll achieve the same effect without the sugar. I’ve made this recipe several times now with that one minor adjustment and they turned out wonderfully. Hope that helps. ? Thank you for a great recipe. I have made these a few times now and my husband I just love them. What molasses do you use? Blackstrap if I can find it. Can I use something else for the sweetner? I don’t have any that you use! Just ran across this recipe, and it is perfect timing. We just made our first batch of homemade Almond milk, and dehydrated the almond meal that remains,… then we put it in the food processor and voila , Almond flour.. Going to give this a go…. thanks! I was just looking over a lot of “typical”recipes that call for a graham cracker crust so I decided to give these a try. They are really good. 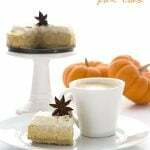 I plan on making low carb cheese cake or pumpkin pie but crush these over top. Not sure how they would do for a crust and I wouldn’t dare attempt it since the honeyville flour is so expensive. However, they really do turn into a “cracker” Really nice cinnamon taste and I am happy I only used 1 tsp of molasses. Did you use Bob Red Mill almond flour? Yes, I do now. I’ve made it many times with Bob’s. Just tried these today… YUM!!! I’ll be making more in the very near future!!! Thanks for sharing!!! It might be in part where you live, if it has high humidity. Don’t put them in a closed container. I always leave mine out in the open. I have a bottle of yacon syrup I use to make your cranberry chocolate chip granola bars, but otherwise I don’t really know what to do with it. Could I use it instead of the molasses? I see that Emily back in 2016 suggested it, but I’m wondering what you think. Thanks. Yes, absolutely. It’s become my go to molasses sub now. How would you recommend converting this recipe to a graham cracker crust for a 9 inch cheesecake or a pie? Maybe a keto key lime pie or something? Thank you so much! i found it extremely difficult to roll out dough! too sticky. followed recipe. what gives? I have no idea but something clearly went wrong. What almond flour did you use? What sweetener? I made these yesterday and they are delicious. I had some for lunch today with sharp cheese. Yum. ? I substituted graham cracker capella drops for the vanilla. Thanks, Carolyn for continuous delicious recipes. We want to make a graham cracker crust. My question is do you think we can just use the dough like a pie crust or should we make the crackers then do it like a traditional graham cracker crust? Just use the dough and press it into a pan. No need to even roll it out first. I’m confused on the net carbs…The nutrition facts say 6.21 carbs – 2.68 fiber = 3.53 net carbs but your recipe notes say 2.59 carbs – 1.12 fiber = 1.47 net carbs. What makes the recipe notes differ from the nutrition facts? The updated info is in the nutrition facts. 🙂 I changed recipe plug ins and I recalculated. Do they keep well? How long do they last? I’ve kept them on the counter for over a week. As long as you don’t live somewhere very humid, they stay quite crisp. I don’t have that info handy but you should be able to calculate it yourelf. The Yacon syrup has about 11g total for the whole recipe. 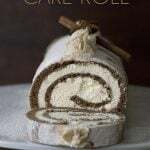 I am not a cinnamon fan, but I wanted to follow this recipe as is, since I have complete faith in you, and I LOVE it. I am not a baker, I haven’t even made the staples growing up, but I have tried several of your recipes and they turn out perfect! I have been on some sort of diet most of my life, and don’t really eat baked goods as its always been code for sugar. I can’t believe I am ‘allowed’ to eat this stuff. And for that I thank you. You are a Genius. Do you think this would turn out well when using chia seed goo as an egg substitute? Our daughter can’t have eggs and we are hosting a S’mores party next Friday. I am trying to come up with a sugar-free, grain/gluten free and egg free alternative for us. Thank you! I’ve tried that with different but similar crackers. They fell to pieces. Wow, these graham crackers look perfect! And now I have a low carb substitute for some of those favorite dessert recipes that all for them!! I don’t even miss the sugar with this recipe! OMG definitely need to try this! Love graham crackers! Graham crackers are one of my favorite go to snacks all by themselves. Love that I can make them from scratch! Store in a container on the counter…they can easily last a week. So good for snacking and making pies – yum! These are so perfect for s’more season!!! This is the one thing that I have been missing since I started Keto! Graham crackers!! I am so glad that you posted this recipe. I made them today and I love them! I wanted to cut down on the carbs even more so I did not add the molasses but used a no carb maple syrup instead. It turned out luscious! I had a little trouble rolling it thin enough but still keeping it square but all is well, I calculated 24 pieces out of the batch that I made. Voila!! I love them! What is the best way to store these crackers? Covered container on your counter…unless you live in a really humid area, in which case, they will probably soften a lot anyway. I don’t know what the issue is but I bake these recipes all the time every day to be exact. These burned before the 20 min were up. The second batch I turned the oven down to 225 instead of 300. And bakes for 9 min and they would have burned if I hadn’t kept my eye on them. The recipe clearly says 300. Can you tell me what might have happened. I’m a perfectionist so I’m perplexed. I have no idea. I’ve made this recipe multiple times at the stated temp, as have many of my readers, and they turn out perfectly. What kind of pan are you using? If it’s dark coated, that may be an issue. Not really sure but I know this recipe works perfectly as written so it’s something with your oven or your pan. See how it says “optional”? That makes it sugar-free. Thanks for the great recipe! Can’t wait to try it but I have a few questions. Do you use Swerve Granular or Confectioners? I find the Confectioners works in anything it’s sweeter. Have you tried Sukrin Gold syrup? It’s sugar free and worked great in my Pecan Pie. I will try it & let you know since many of us need sugar free. I just found Swerve Brown! Might be a nice flavor. I use granular. And nope, I steer clear of those fiber syrups as they typically raise blood glucose. Thanks for letting me know but I haven’t noticed a spike. I don’t use it often though. But, I will check my Blood sugar next time. Has anyone made them , crushed them up, added some melted butter, a pinch of salt & a bit of sugar free sweetener to use as a cheesecake crust??? Yes, you can do that for a cheesecake crust. It’s delicious! What is your opinion on replacing the Swerve/molasses combo with just brown sugar swerve? It is my absolute favorite tho g right now and just wondered if you thought it would be successful. You were right – these are amazing with a smear of peanut butter! I am now in possession of ALL your tremendous cookbooks and – pardon my gush- I am loving them! You are by far my favorite Keto Chef and your books are just beautiful! Thank you so much! I think it would be fine. I haven’t used it in this recipe yet since this is an older recipe. Thanks so much for your kind words! Do you think if I was really careful I could make these into cutout shapes rather than squares, or would the dough be too fragile? These will be a perfect addition to an afternoon snack for my 5 year old T1D. Thanks in advance! It should work. I have similar cut out cookies. Perfect, I have made your cutout cookies several times with great success! I just bought graham cracker flavoring a few weeks back I can’t wait to make some and try adding that. Thanks! Hi!! Can i use stevia instead? Stevia doesn’t crisp up the way Swerve does so your crackers may never be very crisp.